[vc_row css_animation=”” row_type=”row” use_row_as_full_screen_section=”no” type=”full_width” angled_section=”no” text_align=”left” background_image_as_pattern=”without_pattern”][vc_column][vc_column_text]The best running games for kids are the ones that are fun and improve the fitness of the little whippersnappers. There’s no rule against getting exercise while having a blast. Most younger kids love running anyway. But older kids seem to slack off once they find out they can lounge on the couch all day if they want. Ah, yes. As an adult, I felt the same way for a couple decades. Until I realized I was about 35 pounds over my high school weight. I decided to try running once again. And I hated it, for a good six months! But I stuck with it and fell in love with it. It erased my stress, made me feel energetic, and helped me get back to 165 pounds. If you see your older children getting a bit lazy and prefer sofas to any form of exercise, then you may have to trick them into running. Kids of all ages love outdoor games. That makes it easy to lure them into fun games that happen to involve moving the legs and feet with urgency, aka, running. 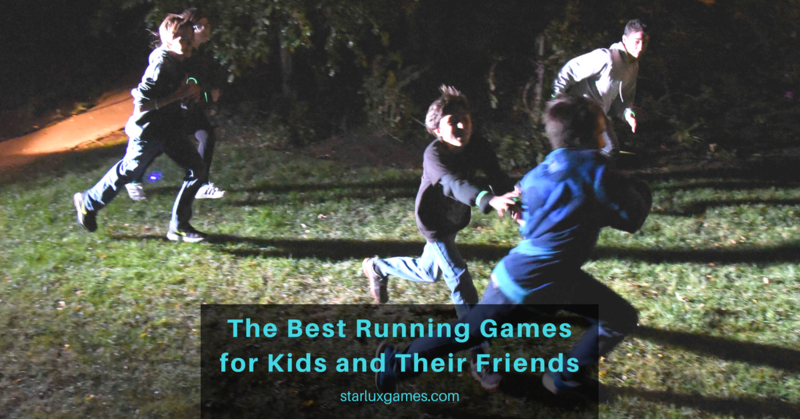 Here are a few of the best running games for kids and their friends to play the next time they have a sleepover or get-together. Watching soccer on TV leaves me baffled. First I don’t know how much time is left or why the players are faking injuries. But also, how in the world do they run the entire game? They are in better shape than basketball players who at least get to sit on the bench occasionally. Make use of this calorie-burning game when your kids have their friends over. One game of soccer could be the most exercise their pals get all week and it may create a terrific habit. There’s no need to have a big rule book on every running game. Tag is quite simple. Tag the person closest to you before they run away and out of reach. Repeat until all the players are too tired to continue. Tag can be played with small groups or large ones. Everyone gets to be “it” and no one will be sitting still, face planted on their phones. They will be too busy dodging and ducking as they sprint around like headless chickens. A higher form of tag can be played with a few instructions and rules. Capture the Flag takes the premise of tag and goes next level. This game requires more strategy and cunning. 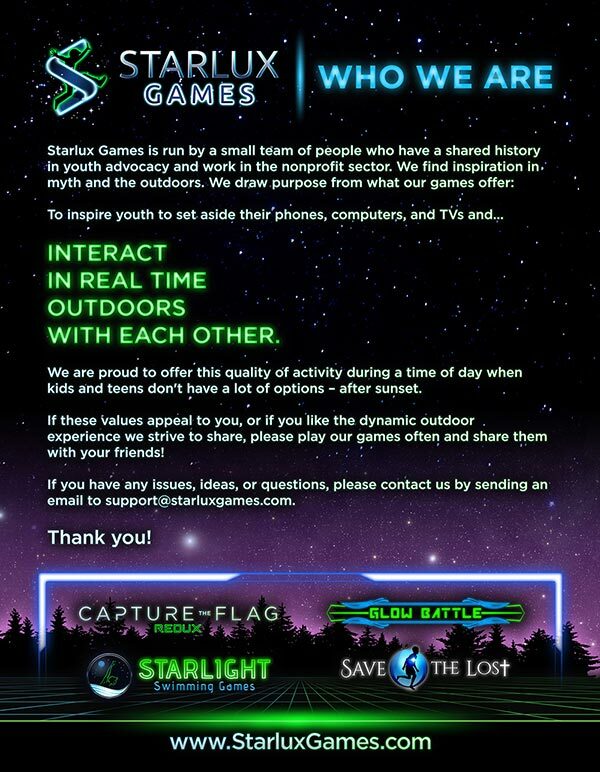 It is also available to play at night with our glow in the dark Capture the Flag version. Raising the heart rate of rowdy kids can now be done after sunset. This game is best for medium-sized groups and can be expanded to large areas for even more players. To learn how to play this very exciting running game, here is an article we wrote on how to play Capture the Flag. I mentioned basketball earlier in comparison to soccer. I could feel my ears burning with b-ballers talking about how they are as fit as any injury-faking soccer player. I admit that even half-court basketball games are great exercise and loads of fun. Kids have to do plenty of running on a full court, but half courts involve lots of quick bursts of runs. This builds up cardio and dexterity. Basketball games only need two kids to start a contest. Three-on-three is even more fun. And five-on-five is legit! Do you know what other game a lot of kids love? Flag football. Now is the perfect time to add a flag football set for home use. This is one of the best running games for kids ever created. And you don’t have to worry about little Johnny getting his head driven into the ground by an ugly linebacker who has been held back two grades in tackle football. To wind down an evening with some lighter running, kickball is a good one that is underrated. Kids only need a ball and some DIY bases in a backyard. Or they can head to the local baseball field. No bats or gloves needed. But the concept of kickball is the same as baseball or softball. The kids get the running in as they round the bases and play defense in the outfield. While the kiddos have the kickball out they might as well get in some dodgeball. The circle up style game won’t involve much running so this game should be played in a divided area. One team on each side and two balls in play. They run around dodging the other team’s throws and chase the balls down in order to retaliate with their own throws. This game can be played in a fenced yard or gym. Or if in an open area, the older kids can make their young siblings chase down overthrown balls. Hey, that’s part of life! If you have a great game to add to our list of the best running games for kids, please share. We are always up for any game that gets us away from the digital clutches of technology and frees kids from the same stranglehold.